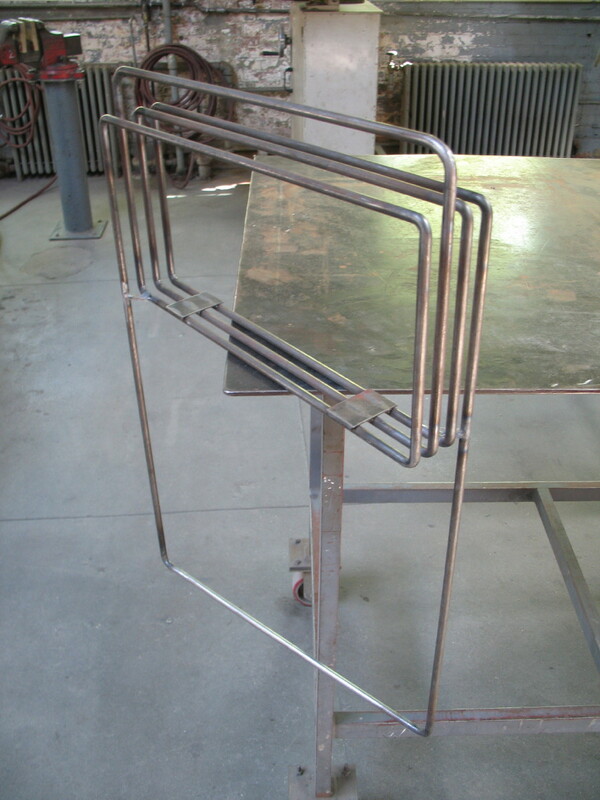 “Wrapped” is a concept metal trestle design by Jess Fügler. 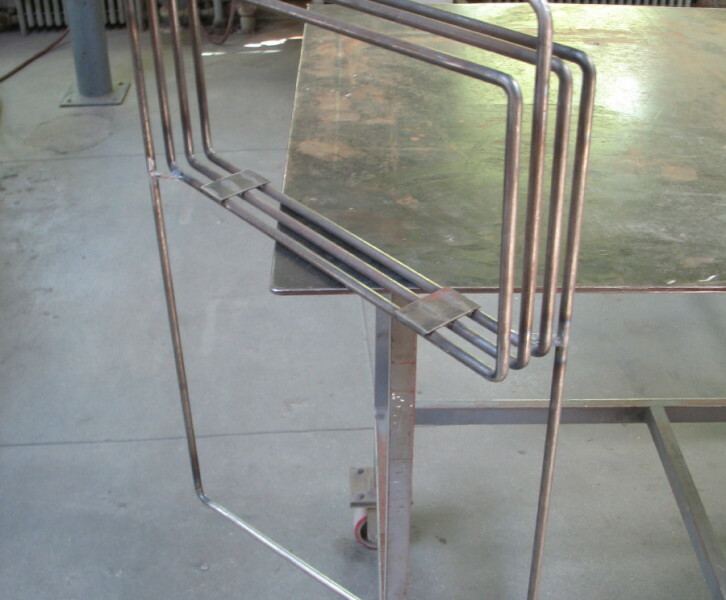 The “wrapped trestle” is made for any length table that fits within its opening. 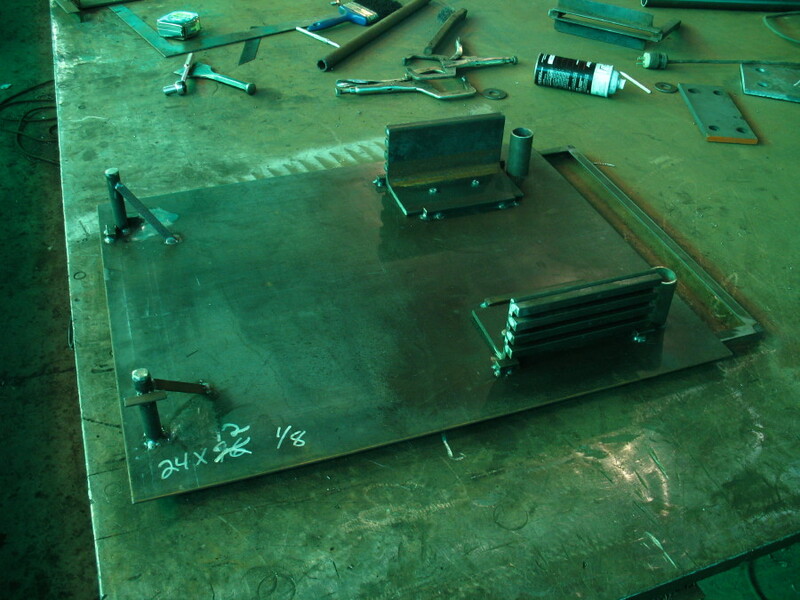 Together, we made the concept into a real prototype. 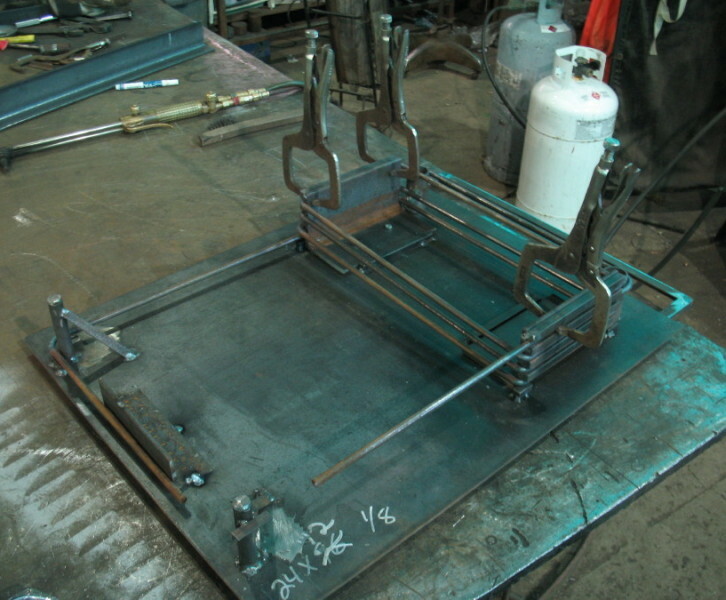 It took careful planning to create the jig for left hand and right hand “wraps”. 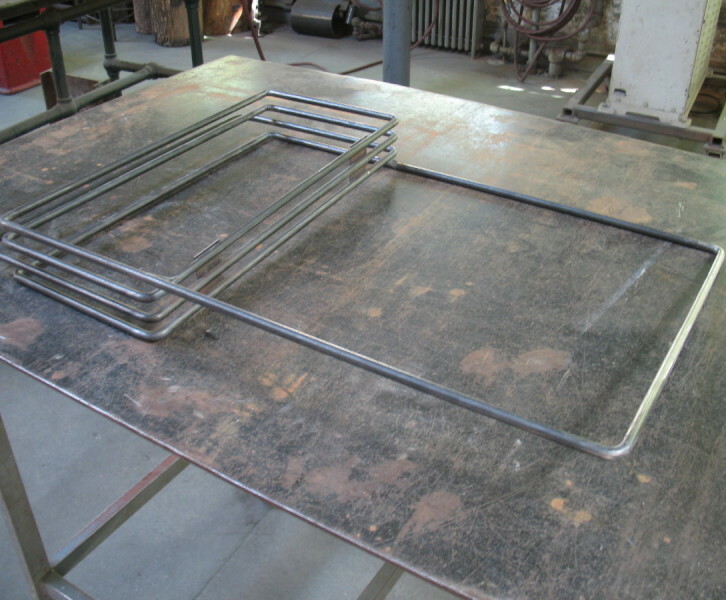 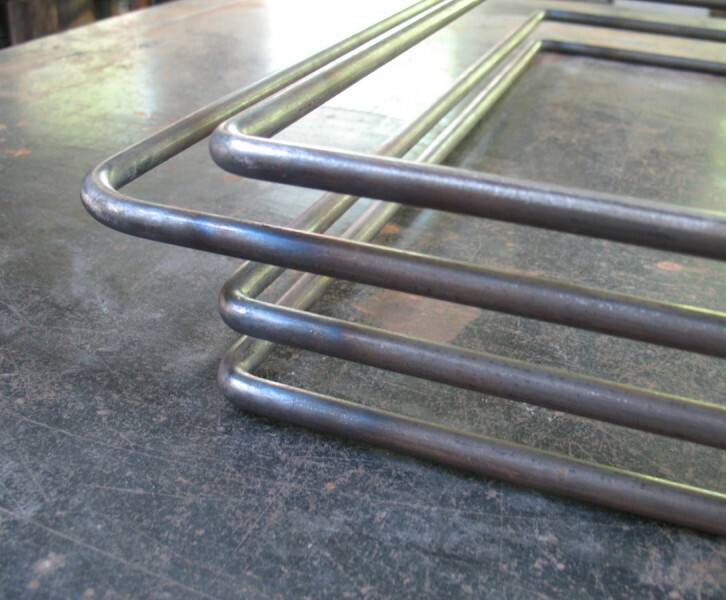 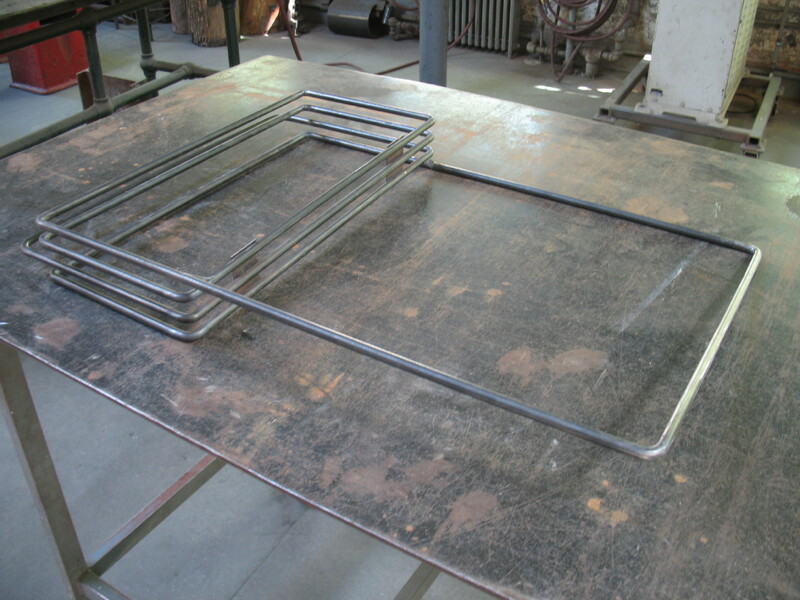 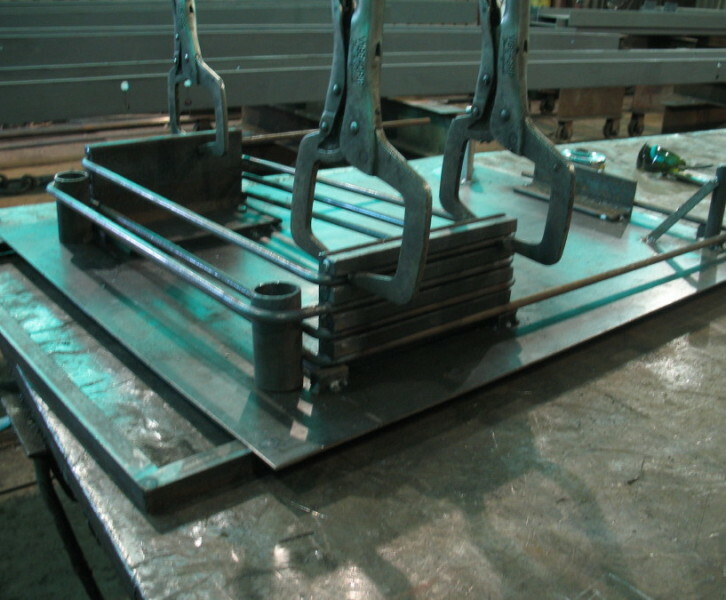 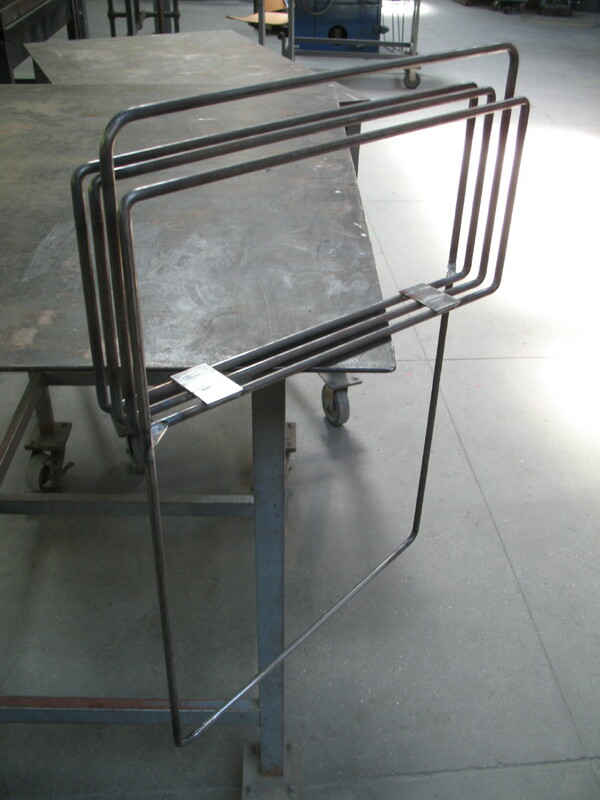 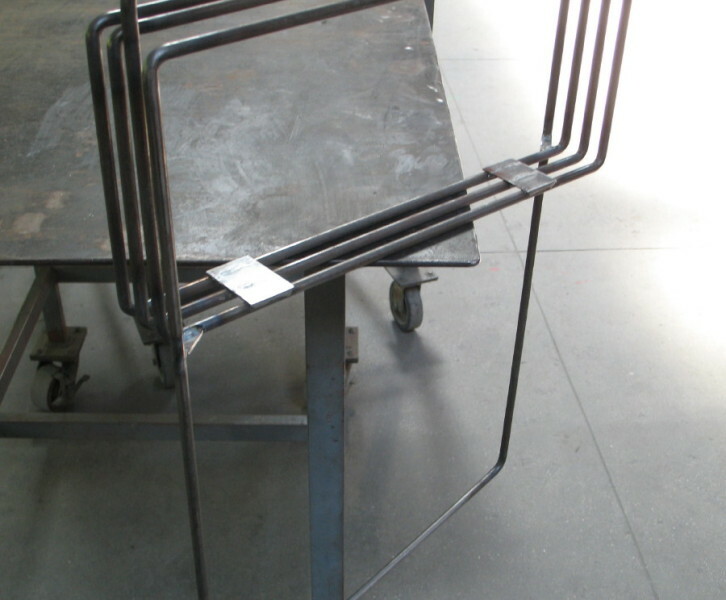 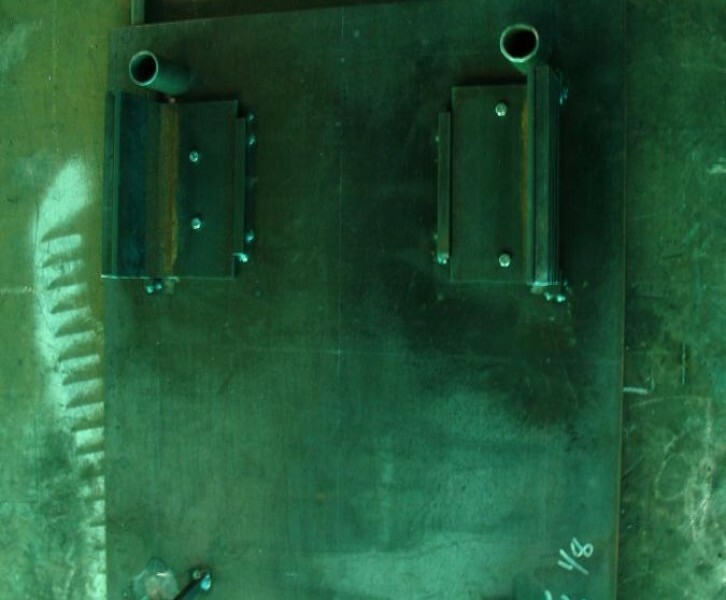 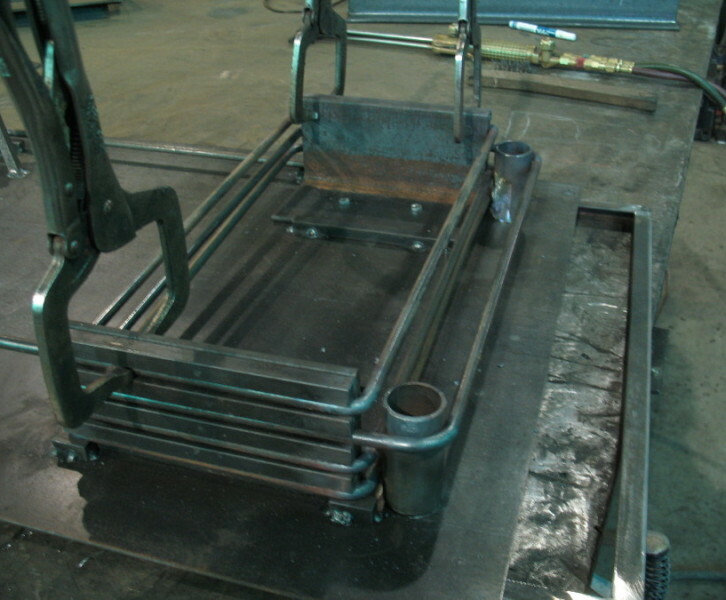 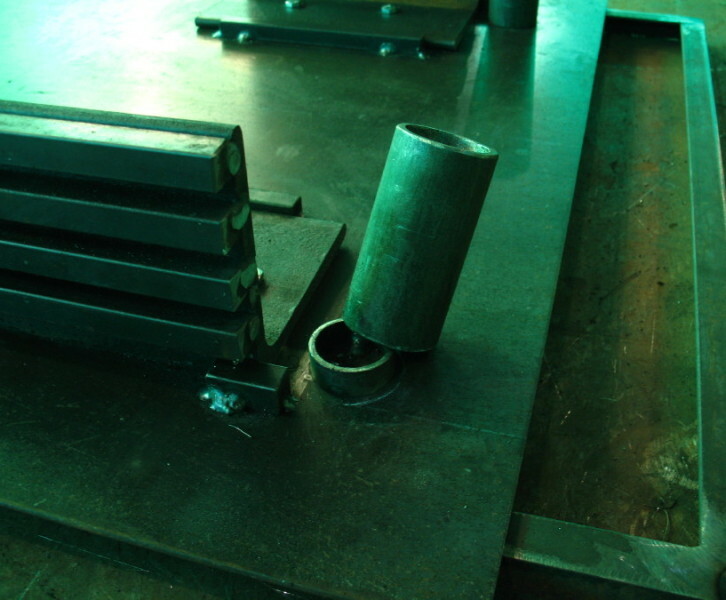 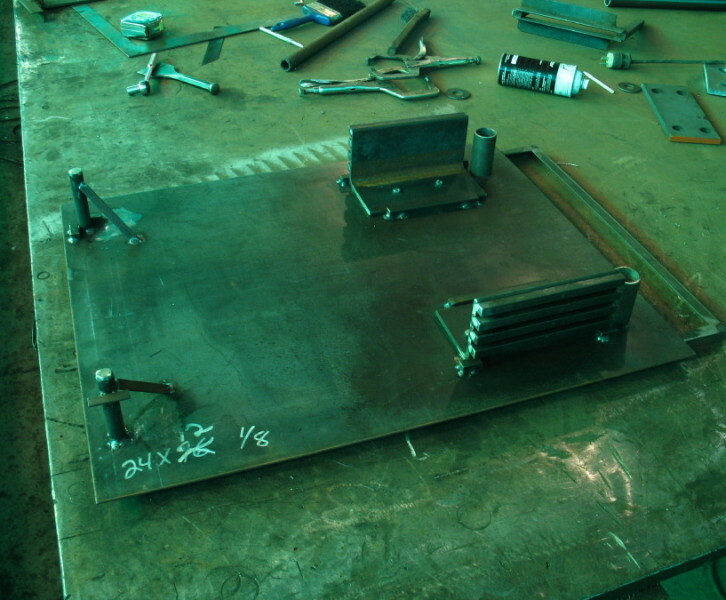 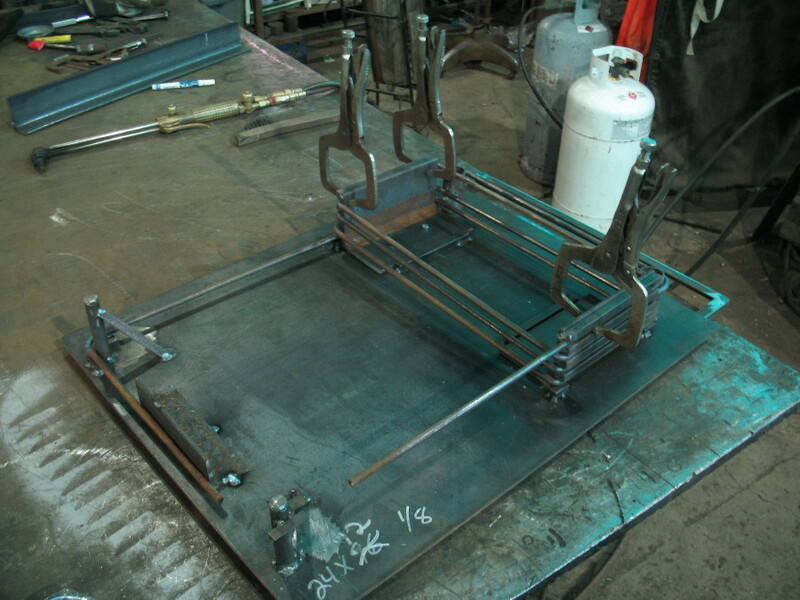 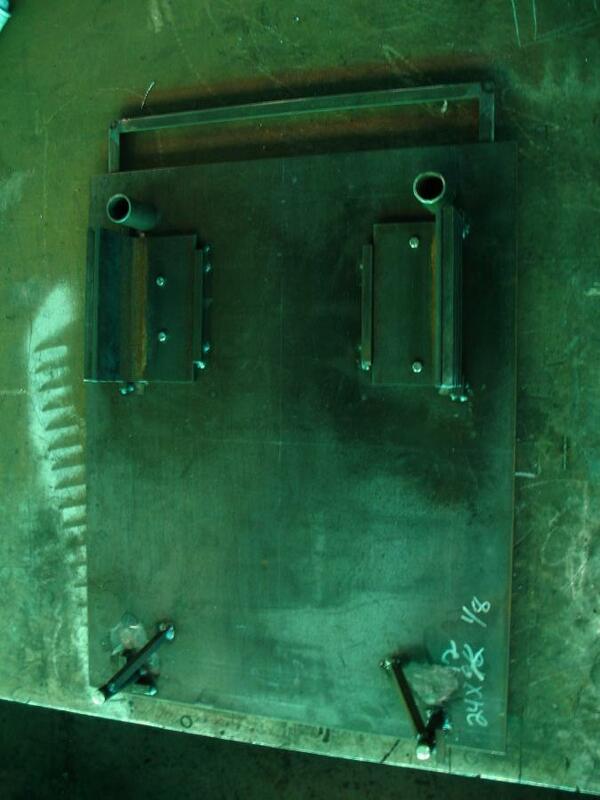 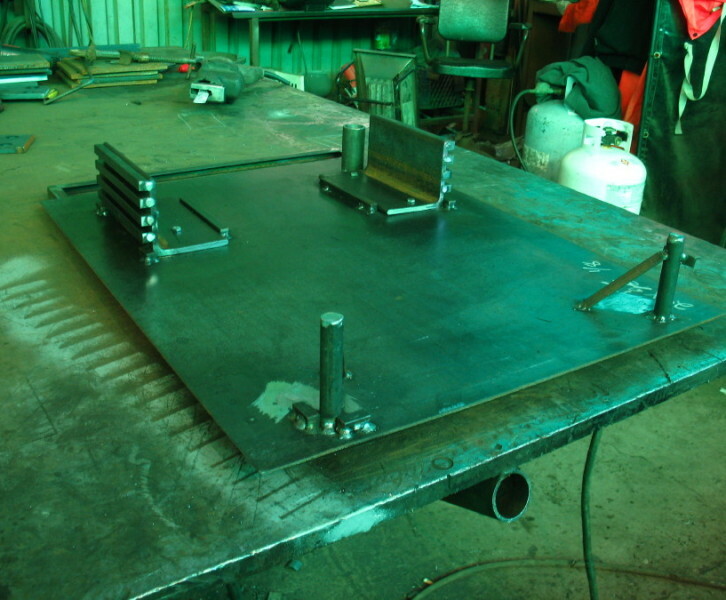 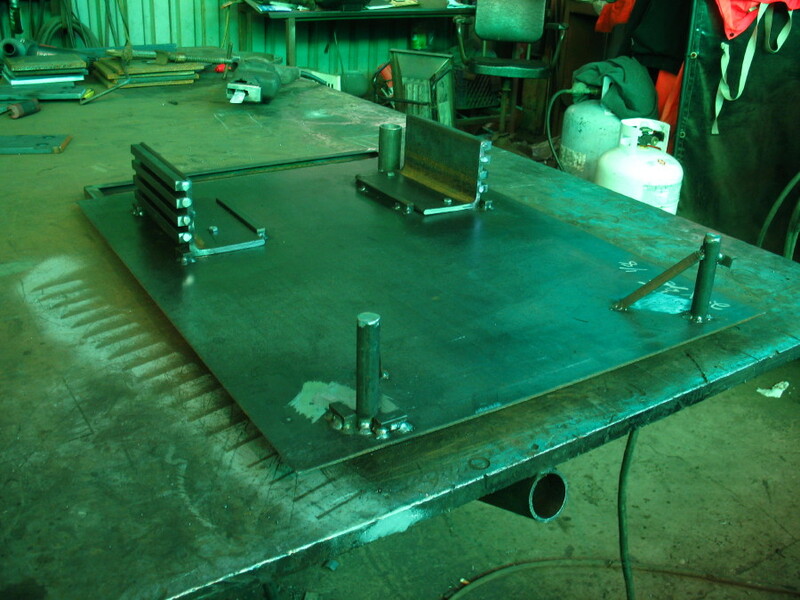 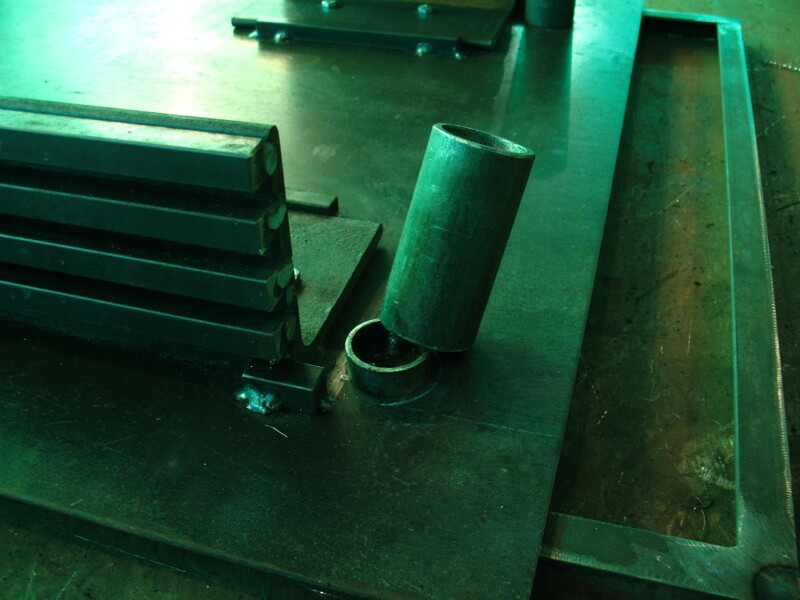 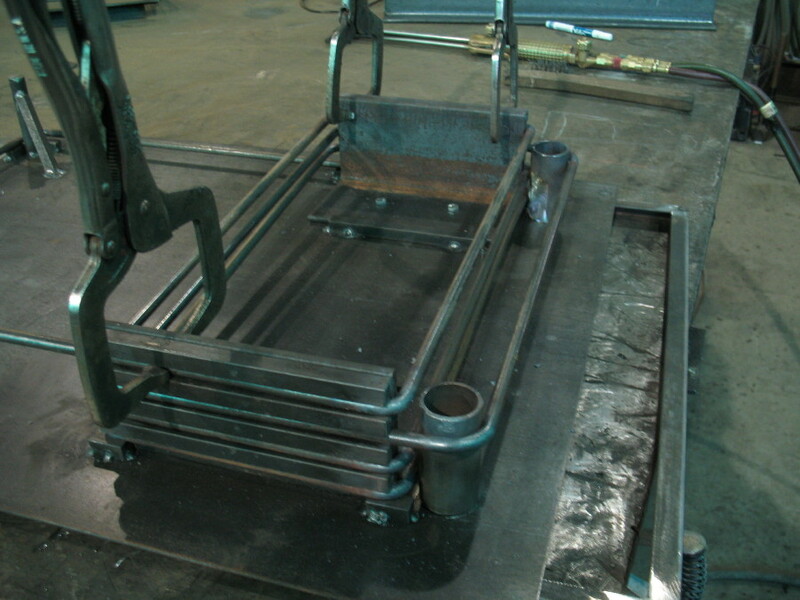 The jig can be also be used to make the trestles out of solid mild steel, stainless, or even aluminum. 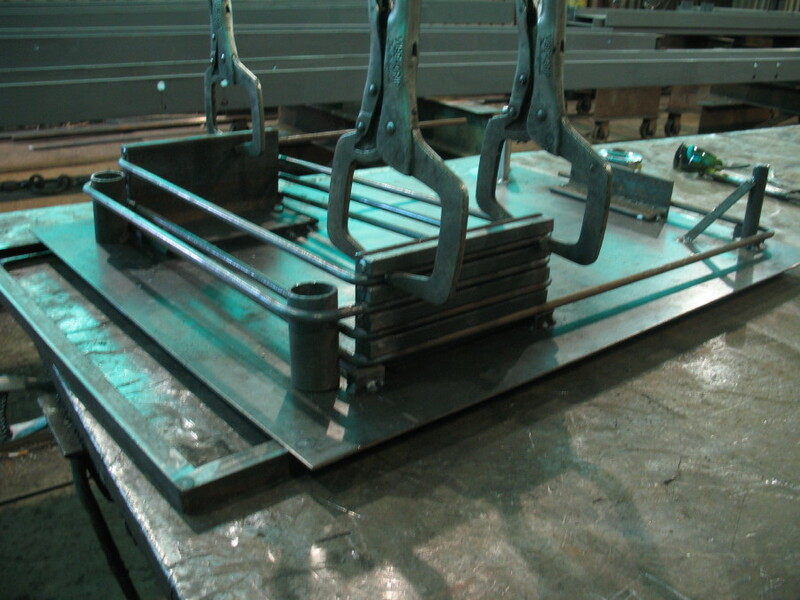 Each final trestle uses over 20 feet of solid 3/8 round bar in one continuous bend. 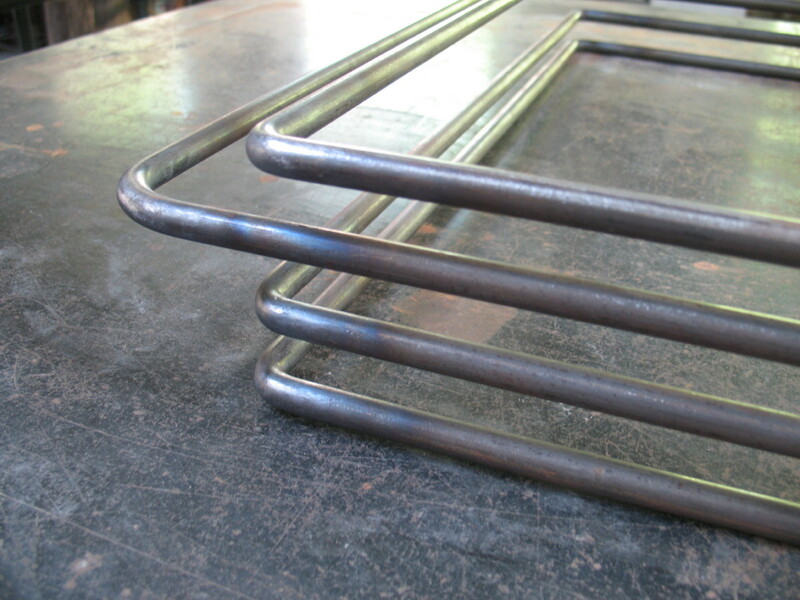 It is welded in one spot and then polished out for a seamless look.